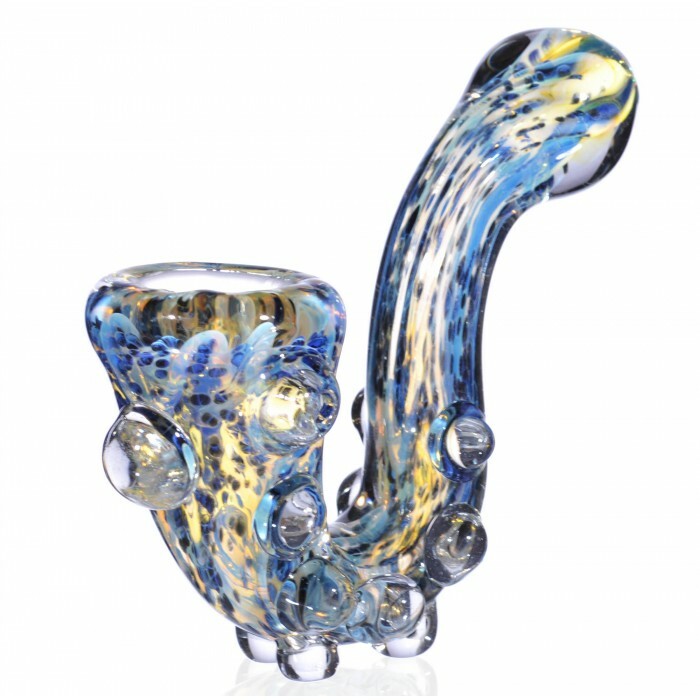 The Bearded Dragon - 5” Aqua Blue Sherlock Pipe -The Greatest Online Smoke Shop! 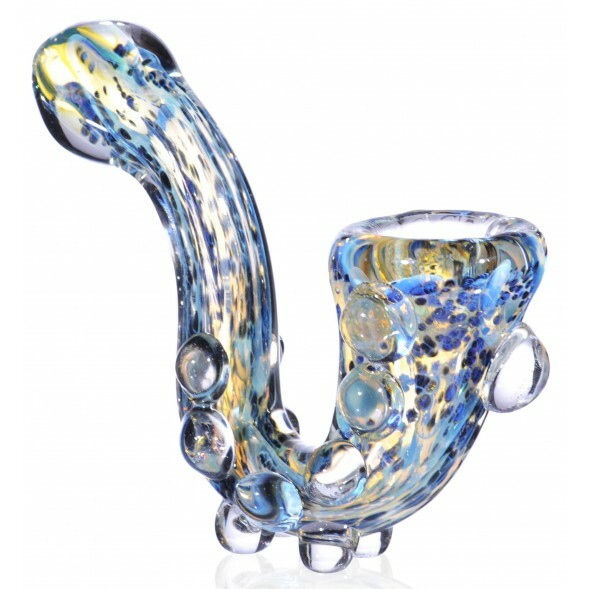 Conveniently sized sherlock style pipe. 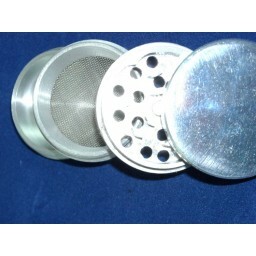 5” long from the mouthpiece to the end of the bowl.  Blown in an aqua blue color scheme with combination of blue hues and shades. 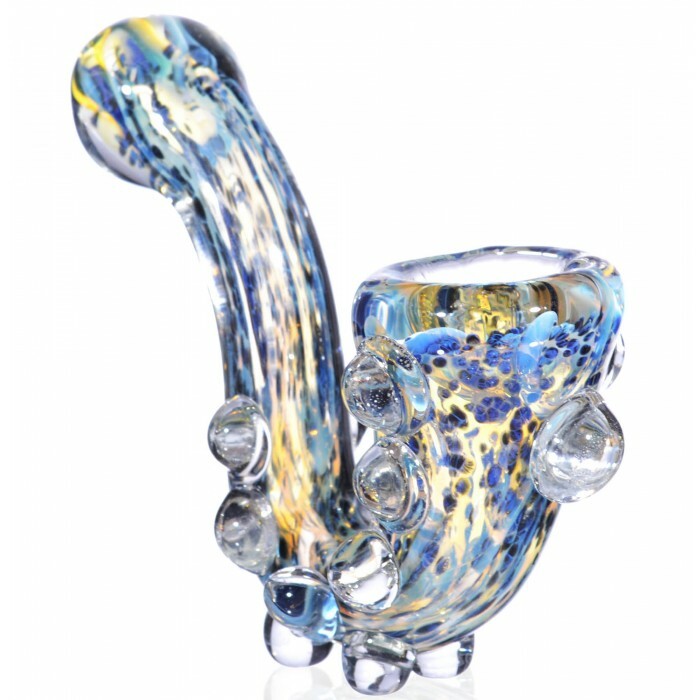 This bowl has a concoction of glass trinkets added into the sides and bottom of the pipe, giving the pipe style and a sturdy base. This glass pipe is a sherlock piece to marvel at. 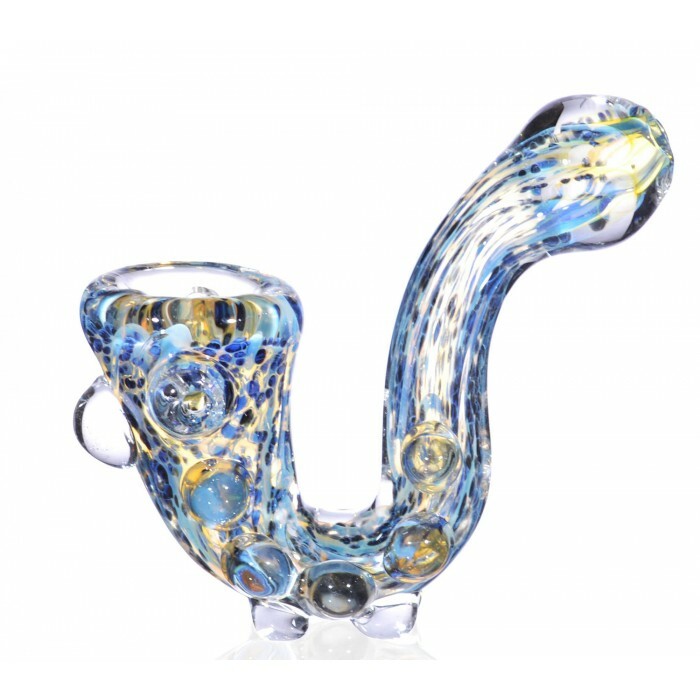 First of all, the glass blowers managed to make a sherlock that is also convenient and easy to use in a smaller size that can be easily carried around and stored. They also took this piece to another level with the design, using an aqua blue color scheme that also incorporates an array of different shades and hues of blue. 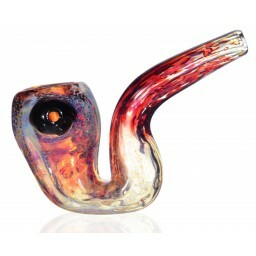 This pipe also uses fumed glass, which will start to turn into other colors as you smoke and use the pipe. 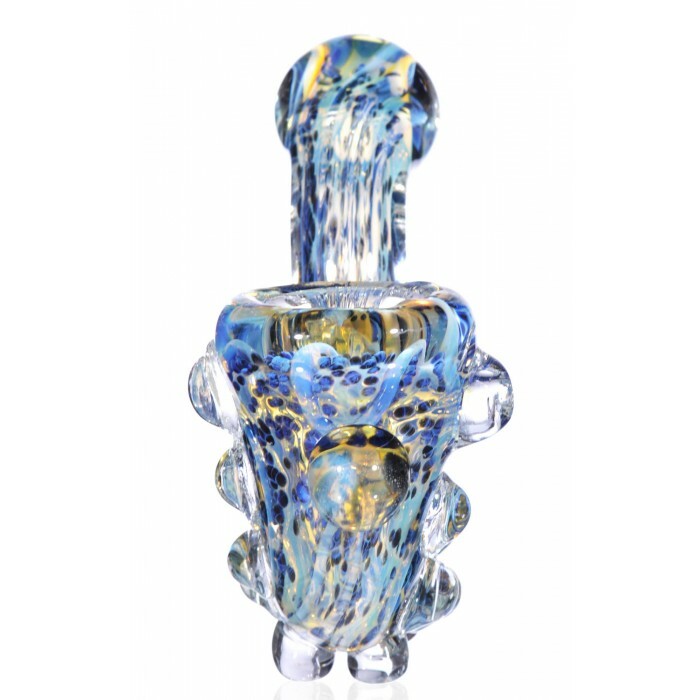 The designers also added a set of spikes and glass trinkets throughout the pipe, giving this piece a unique style like a beard on a wise old man. The spikes do give this piece a unique touch, but they also have a solid function. 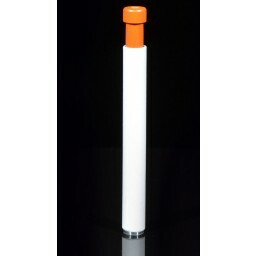 The spikes on the bottom double as a base and allow you to easily stand this piece on any surface without worrying about it falling over and cracking. 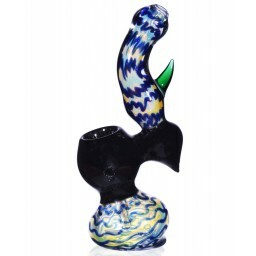 It’s a solid piece with an excellent color scheme and a great addition to any glass collection.